This year’s SDHS Garden Tour highlights a select set of gardens in La Mesa, an area rich in horticultural history. Get inspired on our self-guided tour of eight stunning private La Mesa gardens. Visit gardens with colorful and exciting plants, found and collected art, and unique designs - all well suited to our Southern California climate. The tour features gardens high on the hills of Mount Helix and in hidden valleys complete with streams, waterfalls, custom art and more. Garden owners have used creative plant displays and landscape techniques to transform challenging terrain into comfortable garden spaces. With a variety of styles and tastes, and gardens sized from small to large, this year’s gardens will dazzle your eyes and stimulate your imagination. The tour features local artisans selling their hand-crafted art. Watch artists create paintings of the gardens and purchase cherished take-home treasures. 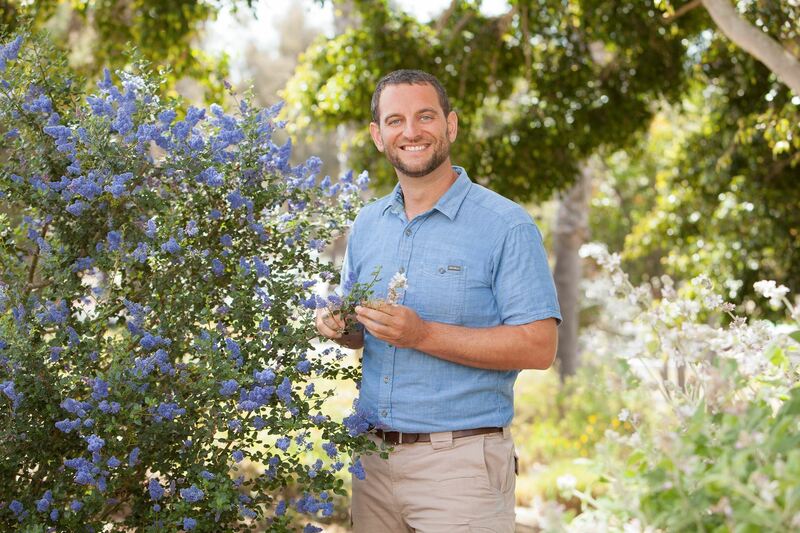 Join us on Monday, May 13 to hear Dr. Ari Novy, President and CEO of the San Diego Botanic Garden (SDBG), address the future of the 21st century botanic garden in San Diego and beyond. Dr. Novy began his new role at SDBG last October. Prior to his appointment at SDBG, he was Chief Scientist at the Leichtag Foundation in San Diego. Before that, he served as Executive Director of the U.S. Botanic Garden, one of the oldest, most prominent and most visited gardens in North America. Join us at the San Diego County Fair Flower and Garden Show stage to honor past president Jim Bishop (2011-2017) as SDHS 2019 Horticulturist of the Year. Learn more about Jim and read his past columns for the newsletter. For the evening we'll have exclusive access to the San Diego County Fair Flower Garden Show exhibits to enjoy the display gardens created by some of our finest local garden professionals. Our garden this year is designed by last year's Horticulturist of the Year honoree, Greg Rubin! Pacific Horticulture Society is advocating for gardens to be at the epicenter of push-back on climate change, and for gardeners to be on the forefront of advancing environmental literacy. Known for the widely-recognized Pacific Horticulture publication, Pac Hort is expanding its mission to include programming connecting people with the power of gardens for enriching lives and healing our environment. This is an exciting time. We’re bringing cutting-edge horticulture and emerging environmental science to our community through new programs, our much-loved publications, and expanded relationships with place-based organizations from B.C. to Baja. PHS members receive print versions of all our publications as well as discounts on our superior educational programs and inspiring garden events, as well as reduced pricing on international and domestic PHS tours. San Diego Horticultural Society has become an Affiliate Member Organization (AMO). A key benefit to members is a 20% discount on the full PHS membership which includes the print magazine and discounts on programs and tours. SDHS can share the new digital edition of Pacific Horticulture with all its members. Also, you can sign up for the free monthly newsletter that features relevant, richly informative articles from more than a decades of archives, on the PHS website. Whether you’ve been with us for years or are new to Pacific Horticulture Society, we invite you to join us. Come with us as we move into our next 50 years. 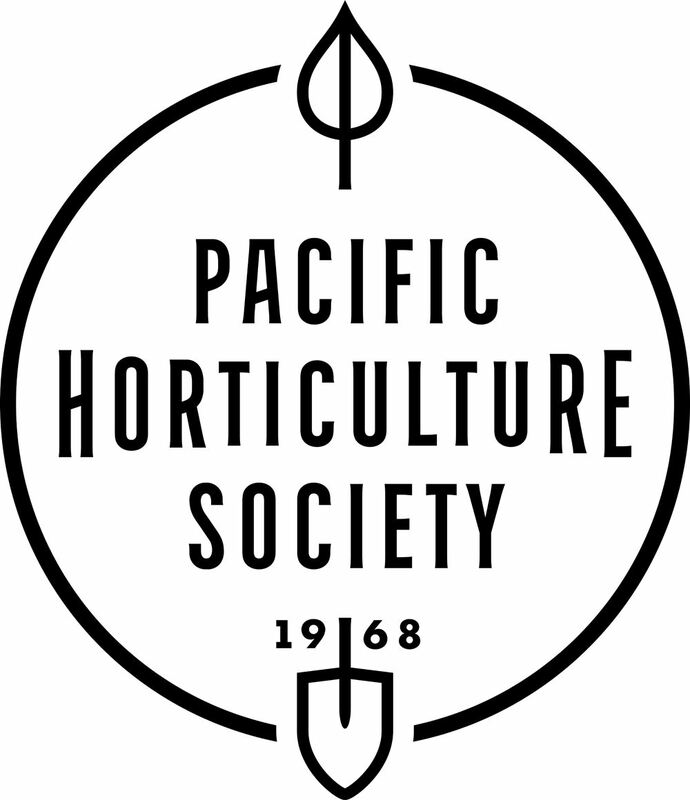 Become a member, renew, or extend your membership today, or give us a call at 510-849-1627 or email us at office@pacifichorticulture.org.